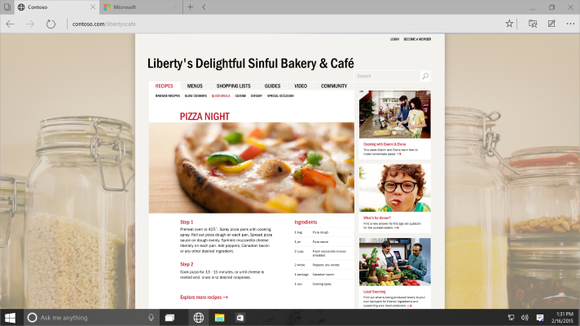 The existing version of Internet Explorer will ship in Windows 10 alongside Microsoft’s new Spartan browser, the company revealed Thursday. This is instead of a new version of IE, which was being referred to as IE12 by Microsoft officials as late as Wednesday. 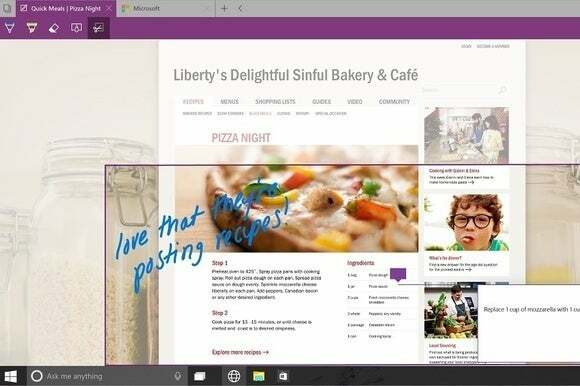 In an effort to clarity issues raised during Microsoft’s Windows 10 preview event, the company posted a blog entry Thursday saying the new OS will ship with a new, minimalist browser code-named Project Spartan. The blog post also revealed that IE will also be in the new OS, but referred not to a future IE12 but instead to the current IE11. Group Program Manager Jason Weber said in the post that the inclusion of IE is necessary for displaying Web sites that use older Microsoft technologies, such as ActiveX. Including the existing rendering engine, known as Trident, as a fallback for Spartan will allow websites that may not have adopted HTML5 standards to continue to be rendered as their developers intended. The blog post confirmed that a version of Internet Explorer will ship with Windows 10, but that version was not identified as IE12, and a chart accompanying the blog post clearly shows IE11 in the “legacy support” bracket, with no similar entry for an IE12. Weber said legacy support will be maintained for enterprises with “legacy websites that use older technologies designed only for Internet Explorer.” However, conventional wisdom among developers, including those at Microsoft, states that customer-facing enterprises in the Fortune 500 are not the ones stuck on IE6. Rather, they’re businesses lacking the development skills to evolve with the times. This will not be the first time Microsoft has utilized compatibility modes in rendering. IE8 was the first to implement version targeting, deferring to rendering standards for IE6 or IE7 when the content called for it. This was at a time when much of the world’s Web content was designed to an IE6 standard, while at the same time, the W3C (to which Microsoft actively contributes) was calling for Web developers to produce content to a browser-agnostic standard instead. The issue of which browser and which engine renders what content applies to more than just Web pages. Developers are also building web apps based on HTML5 that are designed to run outside of browsers, appearing to users like native applications. With the new rendering engine being the default for Spartan, and Spartan apparently becoming Windows 10’s default browser, these apps can be assured of higher performance without being bogged down by over a decade of IE-specific functionality that they wouldn’t even require. On the other hand, developers today remain uninformed about how apps will be implemented in Windows 10. Since they won’t have to be natively installed on systems, it’s a safe bet that they will never appear in the future Windows 10 Store. But Microsoft has historically given Web apps some access to system functions, in order that they could potentially play roles alongside native apps. Silverlight was a technology based on the .NET Framework that enabled Web apps to be developed using common programming languages, though it required plug-ins on the client side similar to how Adobe Flash works today. When Windows 8 was announced in 2011, work on Silverlight essentially ceased, in favor of a new development architecture that would make Web apps feel at home, Microsoft said, in Windows 8. That architecture never really came to fruition. So now that Windows 10 is embracing a new model for “universal” apps, as well as a cross-platform methodology called Continuum, Web apps developers await their instructions as to how best to proceed. “Just wondering if you all were ready to discuss the web app/extension model,” reads one question posed in response to this morning’s blog post. Thursday’s confirmation that both browsers would co-exist in Windows 10 comes on the same day as Microsoft confirmed that Office for Windows 10 and Office 2016—the “universal” and desktop versions, respectively—would co-exist. Windows 10’s duality may not be as stark as the Desktop versus the Start Screen, but it won’t be completely absent. On Wednesday, Microsoft representatives said the first test edition of Spartan won’t be ready for inclusion with the Windows 10 Technical Preview being prepared for testing by registered “insiders.” Internet Explorer will be the default browser on that build, although more than one representative referred to that browser as IE12.